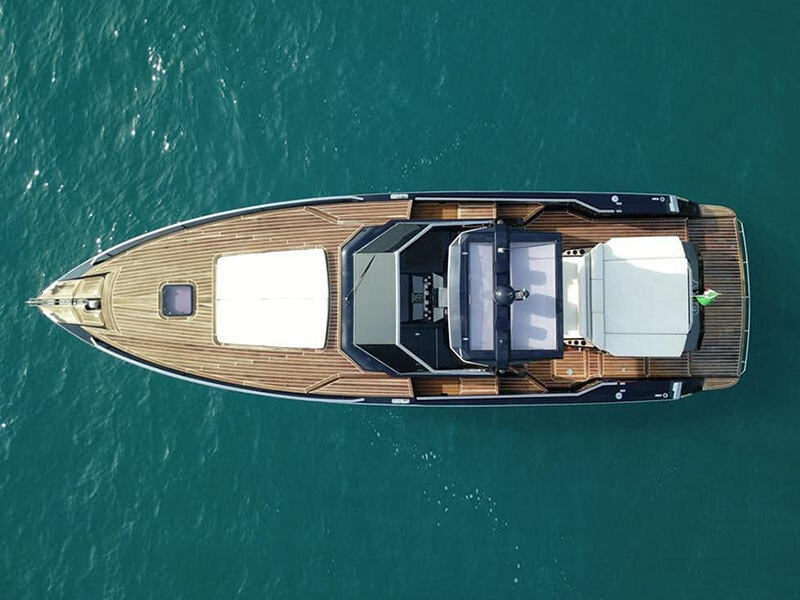 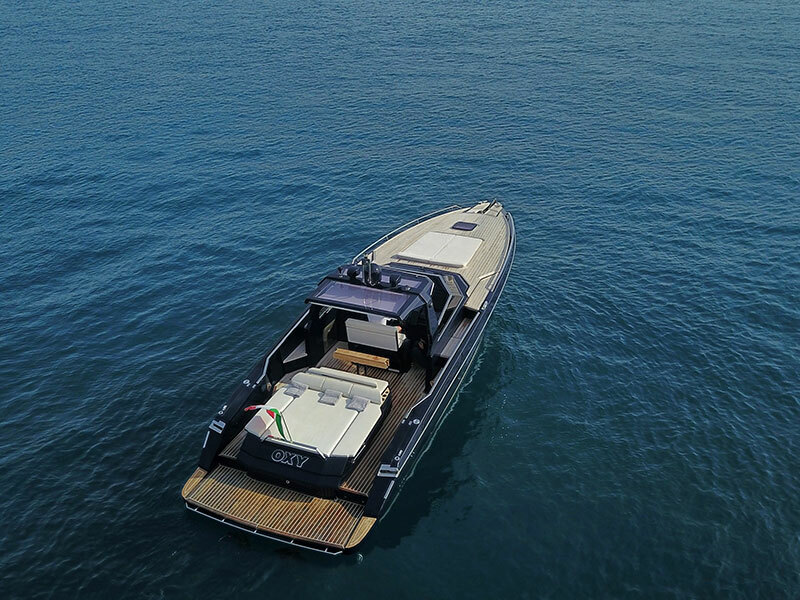 This extraordinary spacious and innovative design motorboat combines the modernity of its lines with the traditional finishing made of precious teak. 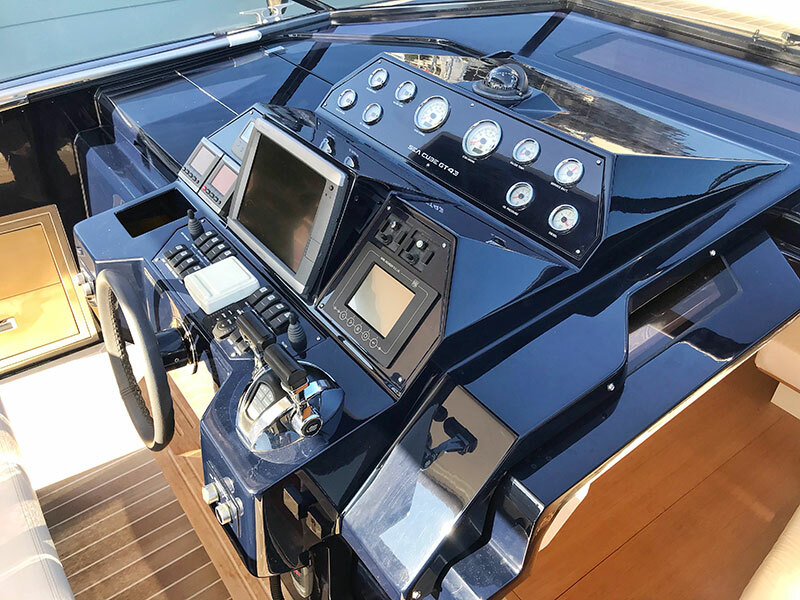 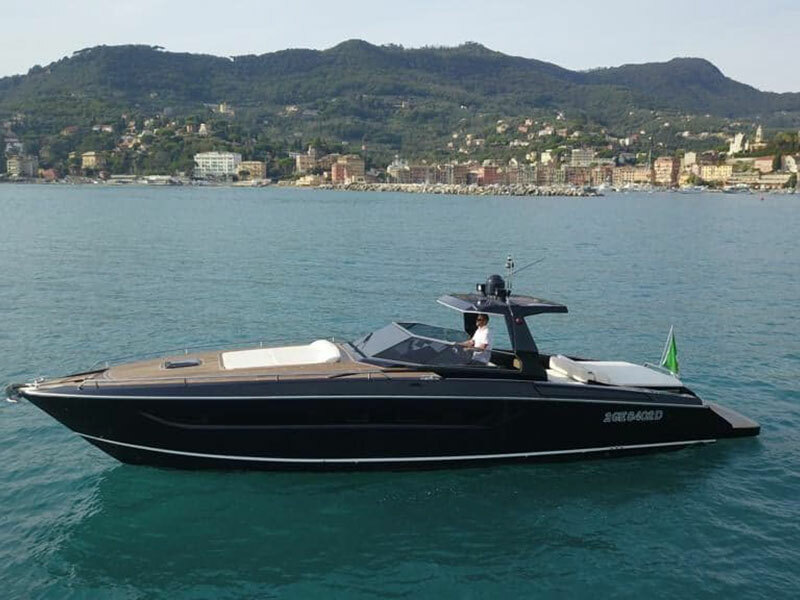 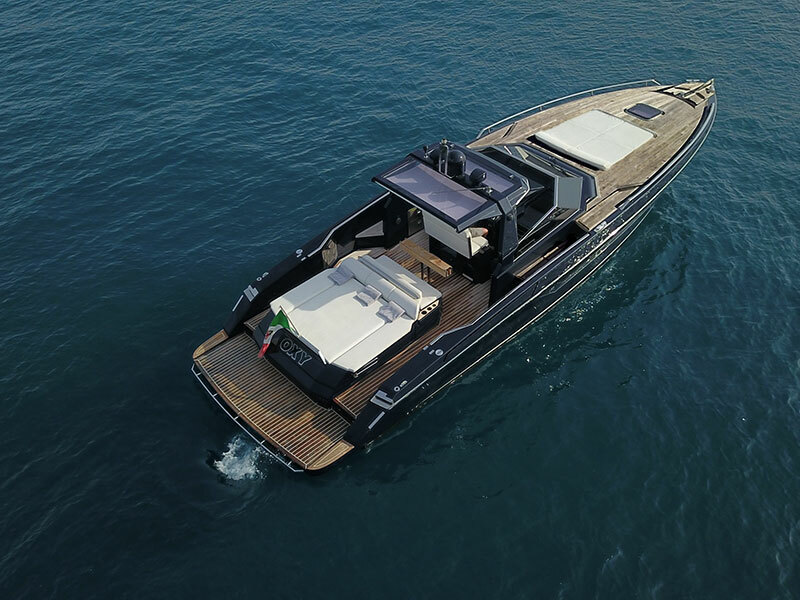 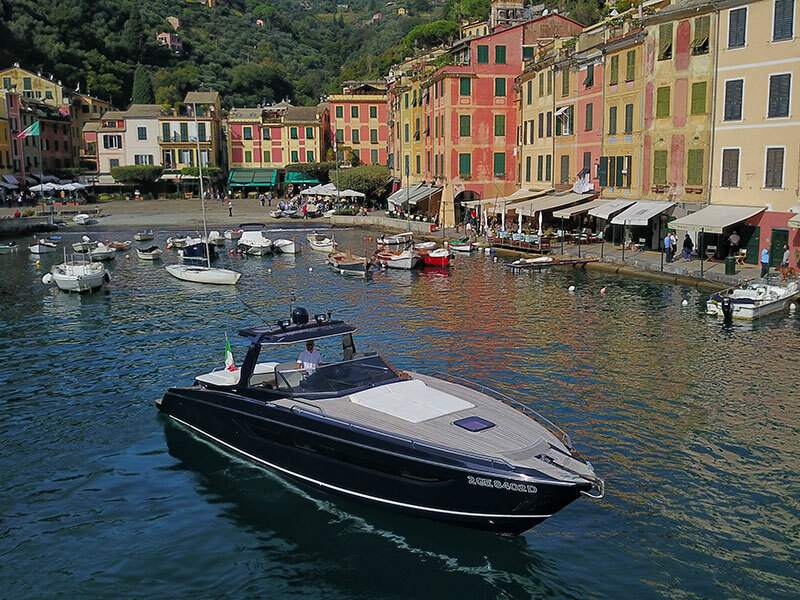 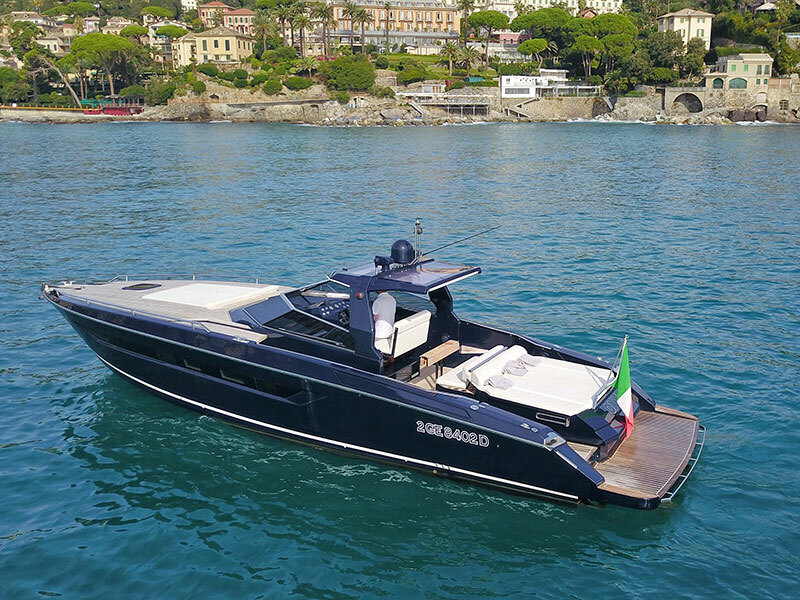 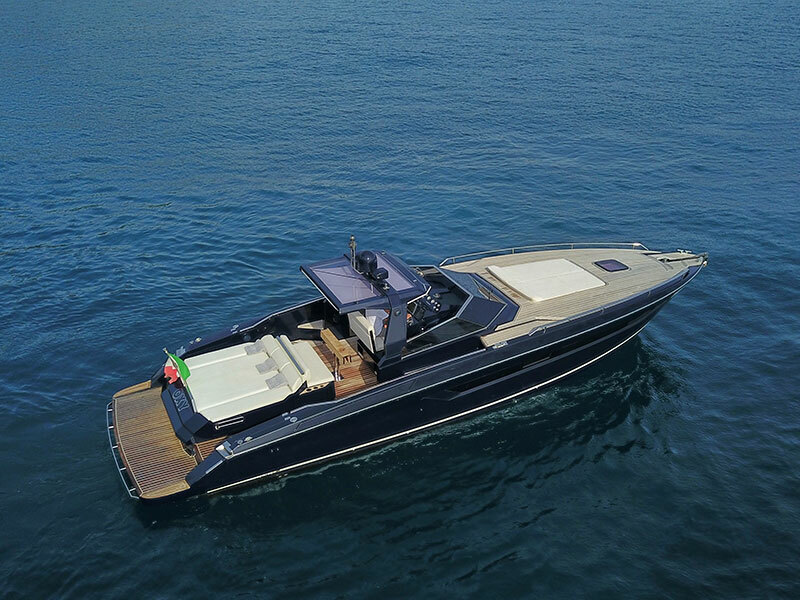 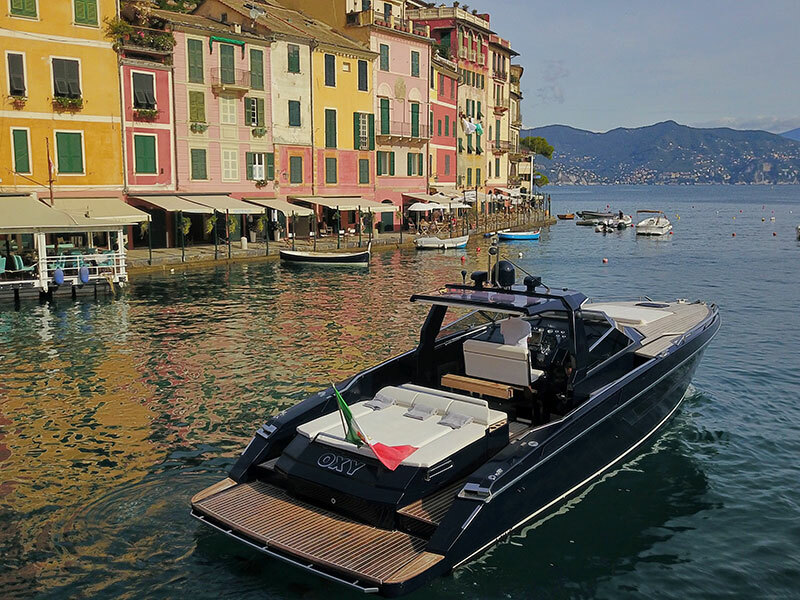 It is the perfect boat for visiting the breathless villages of our Golfo del Tigullio and Paradiso (Santa Margherita Ligure, Portofino, San Fruttuoso, Punta Chiappa, Camogli …) or for discovering the wonderful landscapes of the Cinqueterre and its lively villages up to Portovenere. 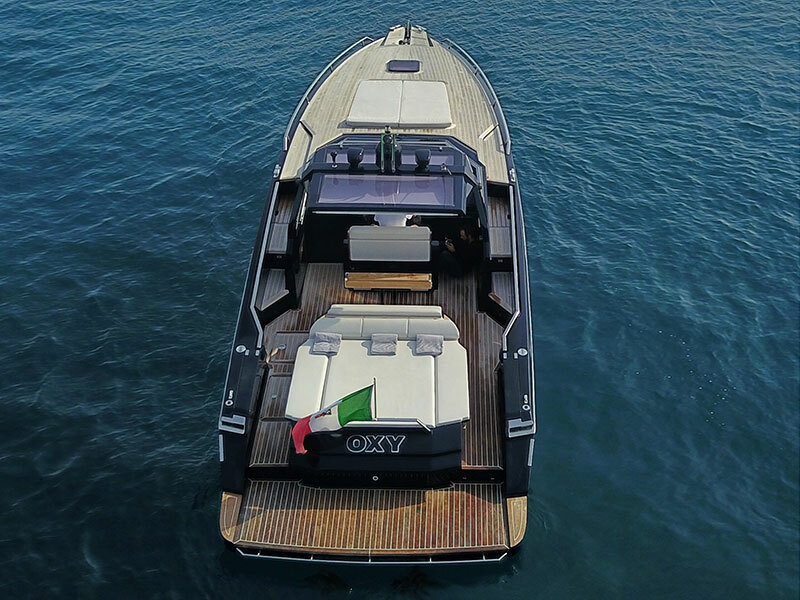 A wide and comfortable stern planking level made of precious teak, the harmony of its forms and a range of the latest generation optional items and equipment ensure a high quality experience for the most sophisticated customers. 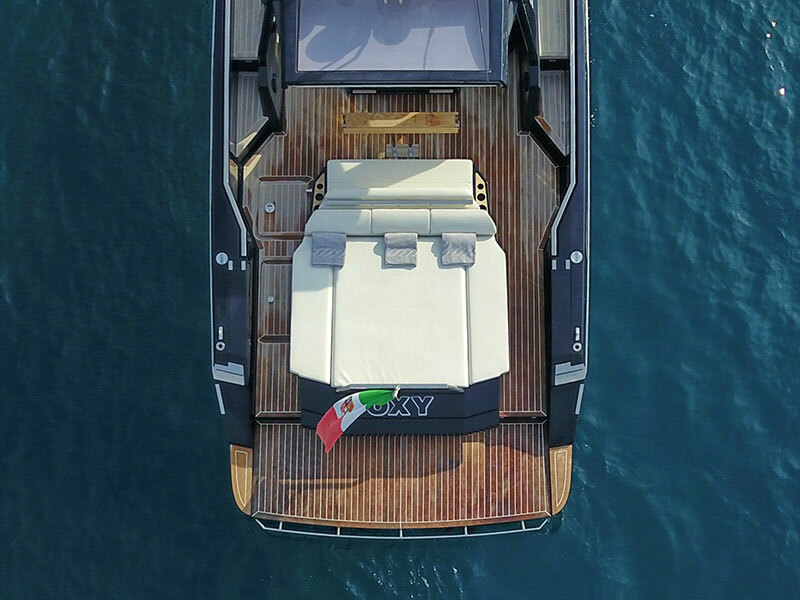 Enjoy an unforgettable experience with our qualified staff who will show you the most charming sights and the most hidden bays of our coast where diving and snorkelling in clear waters or relaxing on board in total comfort, sipping some good wine.